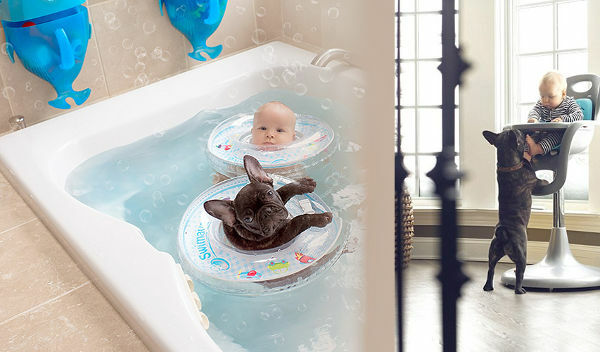 This pair is so cute we can barely stand it. 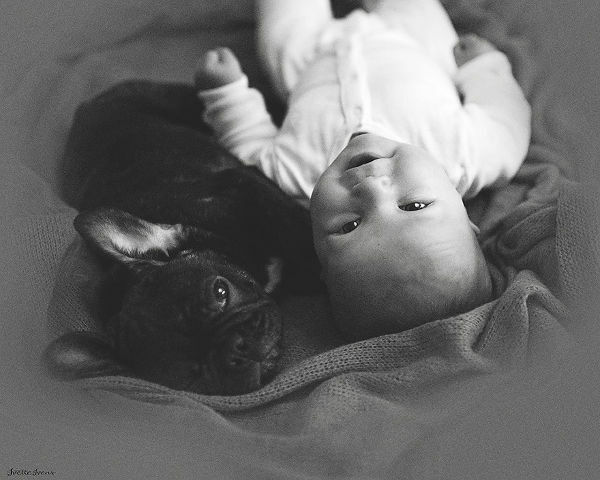 It’s a beautiful baby boy and his equally bonnie bulldog best buddy, who were born on the same day. Consider your daily cute quota about to be filled. 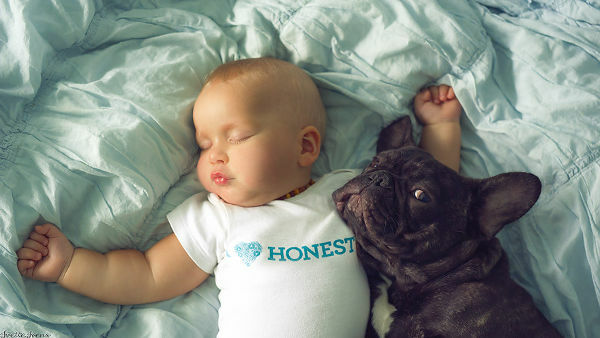 Babies are gorgeous, and French bulldog puppes are adorable. Put them together and you get some of the most heart-burstingly precious photos you’re likely to see. 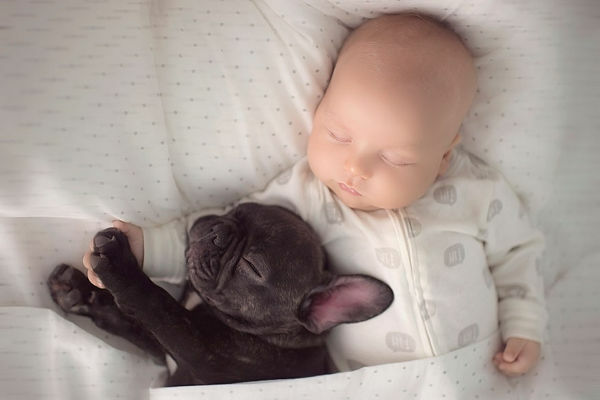 Chicago mum and photographer Ivette Ivens (whose stunning breastfeeding images we’ve previously featured), spotted a French bulldog puppy born on the same day as her son Dilan. “I saw Farley’s birth date and just knew it’s meant to be,” Ivette told the Daily Mail. The young bulldog, named Farley, bounced into the family’s life five months ago, and the pair are now inseparable. 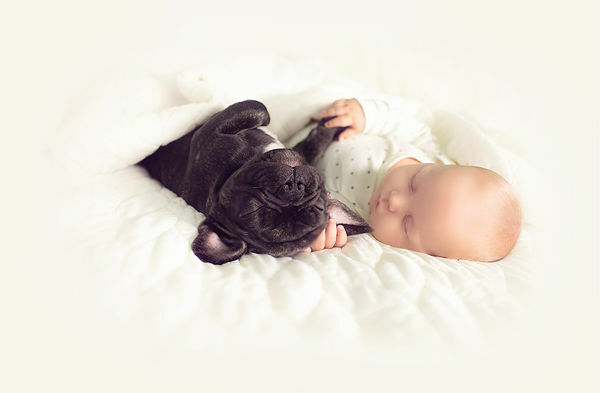 From cosy sleeping positions, to bathing and eating – these two cuties do just about everything together. 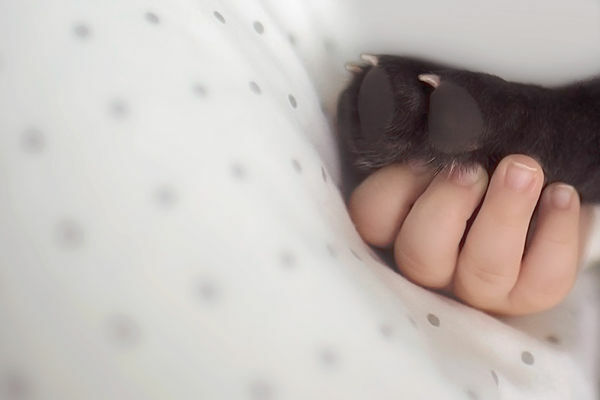 If you’re partial to photography featuring fur babies and their human counterparts, check out this other now famous slumbering twosome.